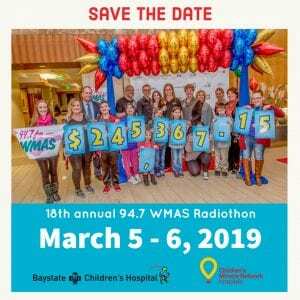 Save the Date for our 94.7 WMAS RADIOTHON! Previous post: THANKS a BILLION! Next post: Big SHOUT OUT to RE/MAX Swift River Valley!